We take the greatest pride in being an entirely independent magazine, associated with no organization, government, group or religious ideology or political agenda. We are a labor of love, grassroots, homegrown American movement started by a group of incredibly talented, award winning journalists eager to engage with the world through thoughtful and well written long form journalism pieces. We provide no lens or filters by which news is conveyed, but rather offer insightful social, political and cultural commentaries limitless in topic by writers of all backgrounds. Our work is supported through our own revenue generating sources and through individuals who support independent media while recognizing that their contributions do not impact our editorial direction. We remain transparent in all our funding, our donors are always listed on our about page. 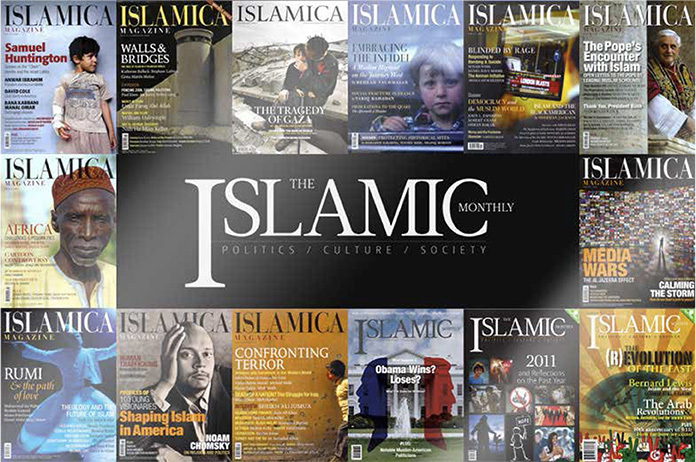 The Islamic Monthly, TIM, was launched in 2010 with its first print issue released at the start of 2011. The magazine follows the legacy of the very popular and internationally acclaimed magazine called Islamica. After it’s folding, many former editors and writers at Islamica joined on board to develop a new, completely independent, American based media platform that was nonreligious and based on current events. The magazine set out to bring in a variety of voices from across the spectrum and encourages opinions of all types to be included in this process. Why are you called The Islamic Monthly if you are not a monthly magazine, or a religious one? That is a question we get all the time! When we launched in 2010 we had aspirations to becoming a quarterly print publication and producing on online monthly magazine. But the world was just so fascinating and there was so much happening on a day to day basis that we ended up publishing quite a bit on a daily basis and shifted to being a bi-annual print publication. As for the name, the idea is to assert that we’ve emerged out of an American Muslim community, but we are not limiting our readership to only American Muslims, or even just Muslims. In fact, we’ve discovered that most of our readership is not only global, but includes many members of the nonMuslim community interested in hearing more perspectives from a minority American community. Nevertheless, the name The Islamic Monthly stuck, and we’ve built our brand off of the first letters of each word, now being known as TIM. Besides, there are a number of American Muslim based publications that are focused on issues pertinent to just Muslims, so we’ve carved out a special niche to broader that readership base.